Flashbacks are often derided as a lazy storytelling device, a gimmick that lets a movie/show/book/whatever fill in plot holes without having to figure out how to do it naturally. The CW’s Arrow, though, leans so hard on flashbacks that they’re often just as important to the narrative as whatever is happening in the present, like how season three’s flashbacks showed how a character lost his son and joined up with the evil League Of Assassins, or how season two explored Slade Wilson’s descent into one-eyed madness. We don’t know what shape season four’s flashbacks will take—though Oliver Queen does have to get dumped back on the island from season one eventually—but at least we know who their villain will be. 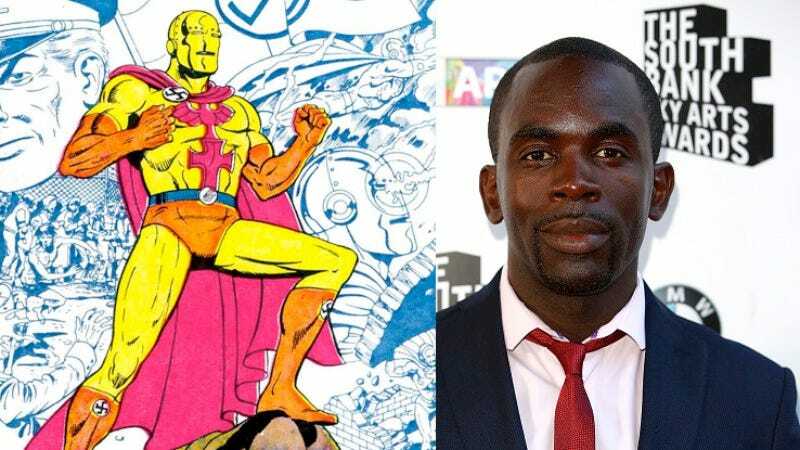 As reported by Deadline, British actor Jimmy Akingbola (Sons Of Liberty) will be playing Baron Reiter, a villain from the comics who is better known as Baron Blitzkrieg. Akingbola’s Baron Reiter will be a “grizzled, hardened, and commanding man” who offers Oliver a job in Shadowspire, his evil organization. In the comics, Baron Blitzkrieg once worked with immortal DC villain Vandal Savage (the main bad guy in the Arrow/Flash spinoff, Legends Of Tomorrow) and, as evidenced by the name “Baron Blitzkrieg,” he’s sort of a Nazi. Arrow has never forced itself to adhere to the traditional characterizations of the heroes and villains it pulls from the comics, though, so we can’t imagine this evil Baron will be much of a Nazi. Baron Reiter/Blitzkrieg will be joining other new additions to the Arrow family, including Anarky, Mr. Terrific, Damien Darhk, a new costume, and director Lexi Alexander. Season four of Arrow will premiere on October 7.